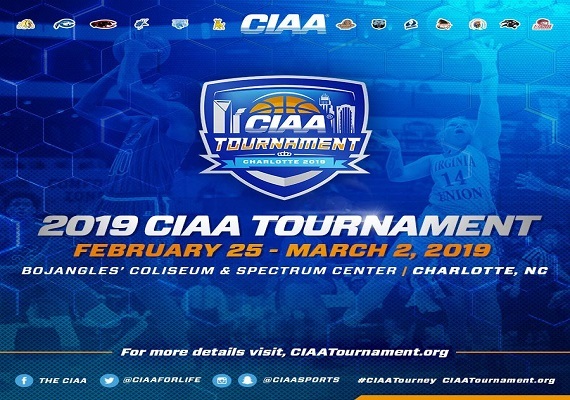 CIAA Tournament Week Is Back! 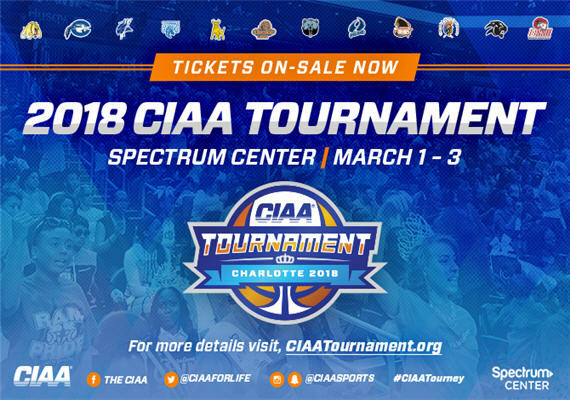 2018 CIAA Parties & Events taking place during the CIAA Basketball Tournament in Charlotte, NC from February 27th through March 3rd. Now in its third year, this event is a collaboration of businesses and organizations that provide programming designed to stimulate economic and intellectual growth and development of minority business professionals. 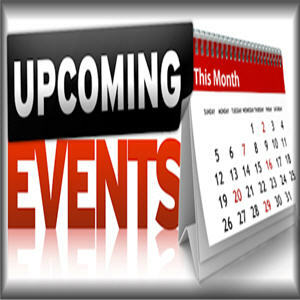 There will be a keynote speaker, breakout sessions, business luncheon, and networking session. 8 a.m.-2 p.m. Free admission; RSVP required. Charlotte Convention Center, 501 S. College St. This expo is open to all current college students and alumni who are searching for graduate school opportunities or jobs. Visit the website for a list of participating universities and employers. Professional development interactive sessions will also be held. 10 a.m.-2 p.m. Free admission. 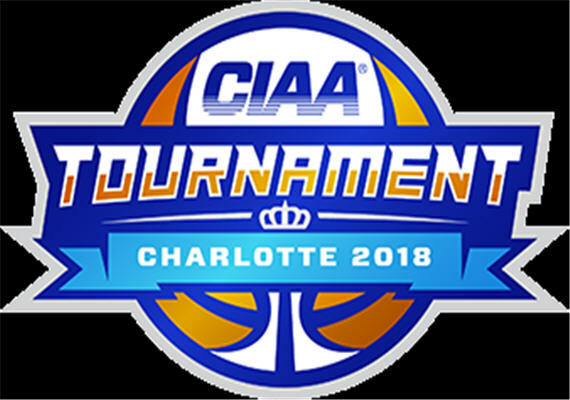 Charlotte Convention Center, 501 S. College St.
Basketball action continues between the women’s teams: 1 and 3 p.m.; and the men’s teams: 7 and 9 p.m. All-session passes, $75 and up. Spectrum Center, 333 E. Trade St. This annual summit invites high school juniors and seniors (boys and girls) to have candid conversations and interaction among their peers. This year’s theme is “The Art of Code-Switching” with motivational speaker Jacotron Potts. There will also be food, a DJ, contests, and prizes. Hosted by Girl Talk Foundation, Inc. 5:30-8:30 p.m. Free admission; advance registration required. Charlotte Convention Center, Room 217A/B, 501 S. College St. The CIAA offers a night of roller-skating fun for adults, to the sounds of some of your favorite old-school hip-hop and R&B music spun by DJ Cleve. Hosted by Old School 105.3 FM’s Olympia D. 9 p.m.-1 a.m. $15 and up. Kate’s Skating Rink, 14500 Independence Blvd., Indian Trail. This party has been every year since Charlotte started hosting the tournament, and its popularity continues. Music by DJ DR. Presented by Alpha Kappa Alpha Sorority Inc. and Rho Psi Omega. A portion of the proceeds will go to college scholarships and community programs. 9 p.m.-2 a.m. $25; VIP tables available. Ink N Ivy, 222 S. Church St. This party marks the first time ever “The World Famous” Kid Capri and Ciroc/Bad Boy’s own DJ SNS will perform together on one stage in Charlotte. Presented by Floyd Hodge and Get Live Ent. 9 p.m.-2 a.m. $25 and up; VIP tables available. Howl at the Moon, at EpiCentre, 210 E. Trade St.
It’s one of the only day parties on a Thursday. Music from DJ 360 and DJ Stacey Blackman. Presented by Old School 105.3 FM. 1-7 p.m. Admission cost varies; VIP tables available. Bubble Charlotte, at EpiCentre, 201 E. Trade St.
Charlotte’s home for blazin’ hip hop and R&B, WPEG Power 98 FM presents its tournament tip-off with host No Limit Larry, music from Mr. Incognito, and a performance by Quaz. 10 p.m.-2 a.m. Admission cost varies; VIP tables available. Bubble Charlotte, at EpiCentre, 201 E. Trade St.
Music by DJ Skillz, Atlanta’s DJ P-Nut, and DJ Suga Shae. Hosted by Bestfriendz, Pinkies Up, and Dynasty 5. 9 p.m.-2:30 a.m. $20; ladies free before 11 p.m. with RSVP. Whisky River, at EpiCentre, 210 E. Trade St.
Come ready to enjoy the company of Charlotte elite, HBCU alumni, Divine 9, and established business professionals. There will be food specials, drink specials, and great music from DJ Wizard. Presented by Star 23 Enterprise. 8 p.m.-2 a.m. $5-$10. Buffalo Wild Wings, at NASCAR Hall of Fame, 400 E. Martin Luther King Jr. Blvd. Start your tournament weekend here, while helping DJ Loui Vee, of Columbia’s 100.1 The Beat, celebrate his birthday. Presented by Sol Kitchen. 10 p.m.-2 a.m. Free before 11:30 p.m. with RSVP; $20 after; VIP tables available. Suite, at EpiCentre, 210 East Trade St. Enjoy chicken-and-waffles and music from national gospel recording artist Canton Jones. Members of the leadership team from UPS will speak to the youth. 11 a.m.-1 p.m. $25; free admission for students. Carole Hoefener Center, 615 E. 6th St. 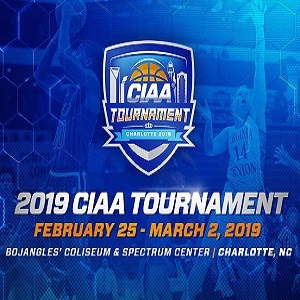 The Central Intercollegiate Athletic Association will welcome Kermit Blount, Ben Coates, Raymond McDougal, Dr. Dorothy Cowser Yancy, and the 1967 Winston-Salem State University men’s basketball team into its hall of fame during this ceremony and breakfast. 9 a.m. $45. Charlotte Convention Center, Ballroom A, 501 S. College St.
It’s a packed schedule of events and activities for fans, including contests, prize giveaways, a local vendor village, celebrity appearances, day party with music by DJ Kool, and a concert headlined by Bell Biv Devoe. Noon-8 p.m. Free admission. Charlotte Convention Center, Halls A and B, 501 S. College St.
Down to the final four in both the women’s and men’s brackets. Women’s games: 1 and 3 p.m.; men’s: 7 and 9 p.m. All-session passes, $75 and up. Spectrum Center, 333 E. Trade St.
Sip and shop a variety of fashion and beauty vendors while enjoying the latest in hip-hop and trap music played by DJ Juice. Meet Atlanta’s Internet icon, Curvy Curly Chrisy, and enjoy fashion tips and styling advise from celebrity stylist Lafina Phillips of New York City. Noon-7 p.m. $10 and up. Venue @ 1801, 1801 N Tryon St.
Beauty, detail, and selection are the vital components as this party goes to the top of the top: the rooftop. The venue will be heated and enclosed. Presented by Culture19. Noon-8 p.m. $15 and up. Rooftop 210, at EpiCentre, 210 E. Trade St. The Best D@%# Day Party Period! It’s not a party, it’s an experience – and a tournament weekend tradition. Presented by Bestfriendz. Noon-7:30 p.m. $35. Whisky River, at EpiCentre, 210 E. Trade St. The CLT combines with the DMV for this party, with music from DJ Platinum Alino and friends. Presented by E75P Sports and SSM Sports Inc. 1-6 p.m. $25 and up; VIP tables available. Kanvas Gallery and Lounge, 525 E. 6th St. Enjoy the ultimate day party with music from DJ Sugar Shae, DJ Double J, and DJ Lonnie B. Hosted by Skillz and Autumn Joi. Presented by Kenny Johnson, Marceau Winston, Kiss Ent. and Dre Brown. 12:30-7:30 p.m. Free admission before 2 p.m. with RSVP; $20 after; VIP tables available. Wild Wing Cafe, at EpiCentre, 210 E. Trade St. The legendary Doug E. Fresh returns for this day party, along with music from DJ Phalse ID, DJ Tayrock, and DJ 360. Enjoy delectable food, lounge, dance, and mingle with hundreds of other people in town for the weekend. Presented by Yancey Thigpen, Eddietainment, and BossMan Entertainment. Noon-6:30 p.m. $15 and up; VIP tables available. Studio Movie Grill, at EpiCentre, 210 E. Trade St. The party experience you’ll never hear – without the special headphones anyway – is back. Music from Tab D’Bia$$i, DJ Ck, and Jazz Bee spinning simultaneously on three different channels. Drink specials and food menu will be available. Presented by the Sigmas of Charlotte. 1-7 p.m. $20. Loft & Cellar, 305 W. 4th St.
Come “set it off” with the pretty women of the Zeta Mu Omega Chapter of Alpha Kappa Alpha Sorority. Noon-6 p.m. $20. Claiborne’s Lounge, 2342 Beatties Ford Rd. This day party fills up every year. Music by DJ Shakim, who’s New Edition’s DJ. Hosted by Konfuzion. Presented by Star 23 Enterprise. 1-7 p.m. $10 and up. Buffalo Wild Wings, at NASCAR Hall of Fame, 400 E. Martin Luther King Jr. Blvd. Kick off your weekend of partying at this hip lounge and restaurant, with music from DJ Lonnie B, DJ Crush Groovey, and Izzy The DJ. 1-6 p.m. $25 and up; VIP tables available. Vida Cantina, 210 E. Trade St.
Watch steppers from fraternities and sororities representing HBCUs from around the country compete for the grand prize. Hosted by MTV’s DC Young Fly and Power 98 FM’s No Limit Larry and Jay Dukes. Doors open 6 p.m.; show starts 7:30 p.m. $30. Charlotte Convention Center, 501 S. College St.
Uptown’s gaming bar will be transformed to host a night of unadulterated pandemonium. Presented by Culture19. 10 p.m.-2 a.m. $10 and up. Lucky’s Bar & Arcade, 300 N. College St.
Get up close and personal with R&B sensation Tank, riding high off his current hit single, “When We.” Music by DJ Crush Groovey and DJ Puff. Presented by Floyd Hodge and Get Live Ent. 9 p.m.-2 a.m. $25 and up; VIP tables available. Howl at the Moon, at EpiCentre, 210 E. Trade St.
You’ll have the pleasure of enjoying three DJs on two different levels under one roof. Enjoy the sounds of Virginia’s DJ Lonnie B of the Heavy Hitters and DJ CK of the Carolinas. 10 p.m.-2 a.m. $15 and up; VIP tables available. BlackFinn, at EpiCentre, 210 E. Trade St.
Drai’s (Las Vegas) resident DJ and hit hip-hop producer DJ Esco returns to this champagne lounge for the second year in a row. 10 p.m.-2 a.m. Admission cost varies; VIP tables available. Bubble Charlotte, at EpiCentre, 201 E. Trade St. Fashionable attire is required. Music from DJ Father Scott, DJ Tayrok, and DJ Milliano. Enjoy the view of the Uptown skyline from the heated patio. Food menu will be available until 1 a.m. 10 p.m.-2 a.m. Free before 10:30 p.m. with RSVP; $20 and up after; VIP tables available. Ink N Ivy, 222 S. Church St. Enjoy a soulful and spiritual experience featuring the Chosen Few DJs Terry Hunter and Wayne Williams along with Charlotte’s Gary “Jackmaster” Wallace, DJ Damon Dee from Norfolk State, and WBLS New York City’s DJ E.B.O.N.Y. Presented by Star 23 Enterprise and House Nic. 6 p.m.-2 a.m. $10. Extravaganza Depot, 1610 N. Tryon St.
It’s a celebration of the women of HBCUs. Music by DJ Cleve and Mad Skillz. Presented by Sol Kitchen, Dynasty 5, A-List, E. Terry, and Velvet Ent. 10 p.m.-2 a.m. $20 and up. Charlotte Marriott Center City, 100 W. Trade St.
Party with Grammy-nominated rapper Fabolous and Power 105 The Breakfast Club’s DJ Envy. Also, music from The Lean Brothers and DJ Spazo. Presented by Ciroc Boys. 9 p.m.-2:30 a.m. $25 and up; VIP tables available. Whiskey River, at EpiCentre, 210 E. Trade St. 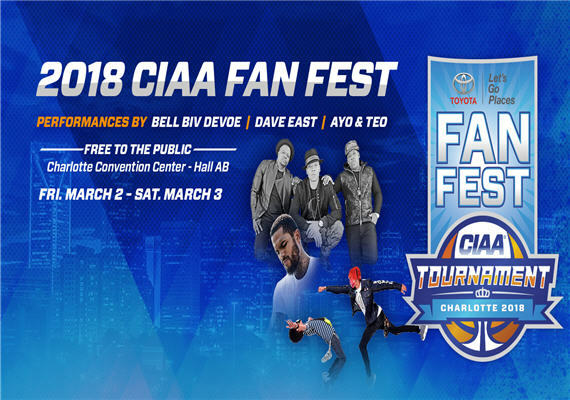 This annual CIAA fan event features a cheerleading exhibition, the Miss CIAA Pageant, live performance by Ayo & Teo, and more entertainment. 8:30 a.m.-noon. Free admission. 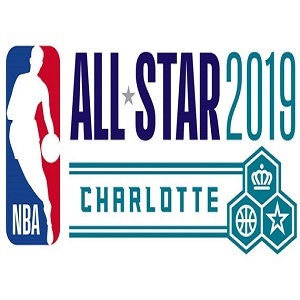 Charlotte Convention Center, 501 S. College St.
It’s a packed schedule of events and activities for fans, including contests, prize giveaways, a sneaker showcase, local vendor village, celebrity appearances, music by DJ Luke Nasty, and a concert headlined by Dave East. Noon-8 p.m. Free admission. Charlotte Convention Center, Halls A and B, 501 S. College St.
After a full week of basketball games, the final two women’s teams will compete for the tournament championship. 1 p.m. All-session passes, $75 and up. 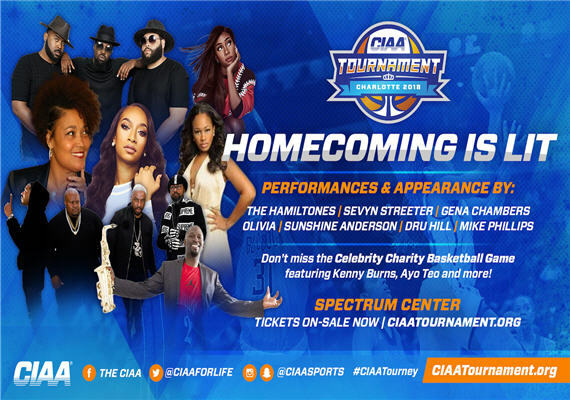 Spectrum Center, 333 E. Trade St.
New this year, the CIAA presents a celebrity basketball game in between the two tournament championships. 3:30 p.m. Admission included with purchase of ticket to championship game. Spectrum Center, 333 E. Trade St.
Watch talented high school steppers from around the Southeast compete for the grand prize. Hosted by Darren Brand and Chico Bean of MTV’s Wild ’N Out and Mario The Mic Man of Streetz 103 FM. Doors open 5 p.m.; show starts 6:30 p.m. $15. Charlotte Convention Center, 501 S. College St. Experience this ladies day shopping social that will be filled with spring goodies, music, vibrant colors, prizes and cocktails. Presented by Shoe Sole’cial. Noon-5 p.m. Free admission; RSVP required. Hilton Garden Inn Charlotte North, 9315 Statesville Rd. Indulge in another memorable addition to this annual day party series. Presented by Culture19. Noon-8 p.m. $15 and up. Vida, at EpiCentre, 210 E. Trade St.
Expect a great vibe, with music from DJ KI of the DMV and DJ TyBoogie of NYC. 1-7 p.m. $20 and up; VIP tables available. Howl at the Moon, at EpiCentre, 210 E. Trade St.
National bestselling author and serial entrepreneur Tamika Newhouse sits down for a conversation discussing her work, career tips, and how you, too, can live on your own terms. She will also sign her books and allow writers to pitch their book or screenplay ideas. Presented by Delphine Legacy Media. 2-4 p.m. Free admission. Jewels Royal Boutique, 2025 Ayrsley Town Blvd., Bldg. 1103. With hip-hop legend Biz Markie deejaying and entertaining the crowd, you can expect excitement. Also music from DJ Phalse ID. Enjoy food, lounging, dancing, and mingling. Presented by Eddietainment, Digital Divas, and Bossman Ent. Noon-8 p.m. Free admission before 1 p.m. with RSVP. Vapiano, 201 S. Tryon St. The VA’s DJ Lonnie B and MC Madd Skillz along with Doug E. Fresh invite you to party with them and their celebrity friends. Enjoy the classic sounds of your favorite music from the ’80s, ’90s, and 2000s. Presented by Eddietainment. 1-7 p.m. $15 and up. Lucky’s Bar & Arcade, 300 N. College St.
Join fellow alumni and friends at this day party. Presented by V 101.9 FM. 1-7 p.m. Admission cost varies; VIP tables available. Bubble Charlotte, at EpiCentre, 201 E. Trade St. This party is an annual tradition of the last 10 years. Presented by Bestfriendz. Noon-7:30 p.m. $50. Whisky River, at EpiCentre, 210 E. Trade St.
It’s a party that focuses on the 30-and-older crowd. Enjoy music by DJ Hukher, food, and top-shelf drinks including the option to buy an open-bar ticket. Presented by Star 23 Enterprise. 1-7 p.m. $20 and up; free parking. Extravaganza Depot, 1610 N. Tryon St. This day party sells out every year. Music from The Dream Team: DJ DR and DJ Skillz. Food menu will be available. Presented by Sol Kitchen and Dynasty 5. Noon-6:30 p.m. $20; VIP tables available. Studio Movie Grill, at EpiCentre, 210 E. Trade St.
Charlotte is the first stop on the 2018 #NoChaserTour. Music will be provided by DJ Spazo, DJ Crush Groovey, and resident Izzy The DJ. Ticket includes access to the open bar while supplies last. Please drink responsibly. 1-6 p.m. $20-$30. BlackFinn, at EpiCentre, 210 E. Trade St.
After a full week of basketball games, the final two men’s teams will compete for the tournament championship. 7 p.m. All-session passes, $75 and up. Spectrum Center, 333 E. Trade St. Celebrate a night of power, elegance, and excellence while adorned in the color of prestige. Presented by Culture19. 10 p.m.-2 a.m. $15 and up. BlackFinn Ameripub, at EpiCentre, 210 E. Trade St.
Silent parties is a new wave of culture where the audience is in total control of their musical and social environment. 10 p.m.-2:30 a.m. $15. Draught Charlotte, 601 S. Cedar St.
It’s a New York City DJ invasion with Power 105.1 FM’s DJ Envy of The Breakfast Club. Presented by Floyd Hodge and Get Live Ent. 9 p.m.-2 a.m. $20 and up; VIP tables available. Howl at the Moon, at EpiCentre, 210 E. Trade St. Arrive early to feast on delectable food and great drinks. The crowd will be treated to an array of music by two of the area’s finest, DJ 360 and DJ E-Class. Presented by Digital Divas and Eddietainment. 8 p.m.-2 a.m. $10 and up. Vapiano, 201 S. Tryon St.
Party to the sounds of ATL’s DJ Tayrock and VA’s Izzy The DJ. Presented by Eddietainment, LGBurna, and NxlevelQC. 10 p.m.-2 a.m. $15 and up. Vida, at EpiCentre, 210 E. Trade St. Check out this newly renovated lounge, while enjoying free pizza, red cup drink specials, and music from 92.7 The Block’s DJ Glory. 10 p.m.-2 a.m. $20-$30; VIP tables available. Apostrophe Lounge, 1440 S. Tryon St. Spend your Saturday night partying with the one and only DJ Drama. 10 p.m.-2 a.m. Admission cost varies; VIP tables available. Bubble Charlotte, at EpiCentre, 201 E. Trade St.
Party with the alumni of Winston-Salem State University and represent your favorite decade of music, spun by DJ Adam T and DJ Precise. 10 p.m.-2 a.m. $20. Charlotte Marriott City Center, 101 W. Trade St. Enjoy music from celebrity DJ SNS and DJ Tay. Hosted by NFL great Michael Vick. Food menu available until 1 a.m. Presented by FAZE Inc., Knuckleup Ent., YBE, and 4 Real Life Ent. 10 p.m.-2 a.m. $30 and up; VIP tables available. Ink N Ivy, 222 S. Church St.
Be entertained by two hip-hop legends, Kid Capri and Doug E. Fresh, with music from DJ Spazo of New York City’s Hot 97. In addition to the large dance floor, you can also enjoy bowling. 9:30 p.m.-2 a.m. $20 and up; VIP tables available. StrikeCity, at EpiCentre, 210 E. Trade St.
Music by DJ Frank Ski, DJ Phife, and DJ Father Scott. Presented by Good Life Ent., Pearl Vision Group, Lefoy Grant, and The Kwins. 9 p.m.-2 a.m. $20 and up; free admission before 10 p.m. with RSVP; VIP tables available. Loft and Cellar, 305 W. 4th St. Hosted by Dutchess and DJ Mister Cee, this is a classic end to your weekend of partying. Presented by Bestfriendz. 1-7:30 p.m. $20; VIP tables available. Rooftop 210, at EpiCentre, 210 E. Trade St.
It’s a beautiful experience where grown folks can party while celebrating life, love, and community. The pop-up nature means guests should bring their own food and decorate their own tables. All-white attire is suggested. Music by DJ 06. Presented by Star 23 Enterprise. 1-7 p.m. Free admission with RSVP; free parking. Extravaganza Depot, 1610 N. Tryon St. This is how you want to end the tournament weekend. Brunch will be served 11 a.m.-2 p.m. while a jazz band plays. Then, the after-party begins with VSU’s DJ Darryl Krush. Bring your cigars and dancing shoes. Presented by Sol Kitchen and Jazz Around Town. 11 a.m.-5 p.m. $15-$45. Ink N Ivy, 222 S. Church St. Chef Chianti is serving up a menu, featuring red velvet French toast, grits, chicken-and-waffles, mambo chicken, collard greens, mac-and-cheese, and more. DJ Cuttz and DJ Chuck T will provide the sounds. 10 a.m.-7 p.m. $25-$50. Vida Cantina, 210 E. Trade St.
Close out your long weekend at this annual party, where several DJs come together. Featuring DJ Spazo, DJ SNS, DJ Skillz, DJ Bro-Rabb, and DJ Lonnie B. Presented by Kenny Johnson, Dre Brown, Elite Creative, Worldwin, and Bestfriendz. 1-9 p.m. Free admission before 4 p.m. with RSVP. Whiskey River, at EpiCentre, 210 E. Trade St.